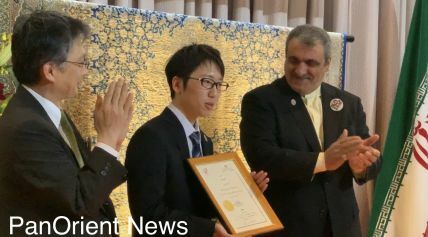 Tokyo- (PanOrient News) Japan and Iran held a ceremony Thursday night in Tokyo to commemorate the 90th anniversary of the establishment of diplomatic ties between the two countries. 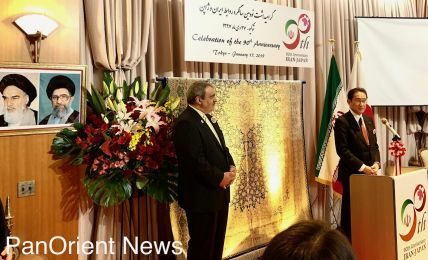 Iran's ambassador to Japan, Morteza Rahmani Movahed, gave a speech at the reception, which was held in the Iranian Embassy. 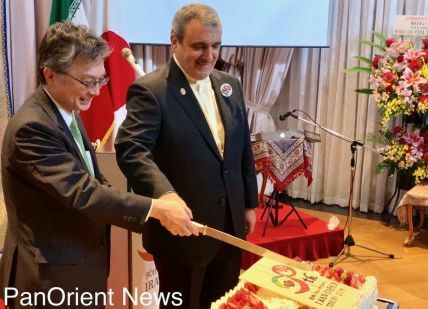 He said the two nations have great potential to work together in a number of fields and that Iran hopes to advance cooperation with Japan in trade and other economic areas including health, medicine and technology. 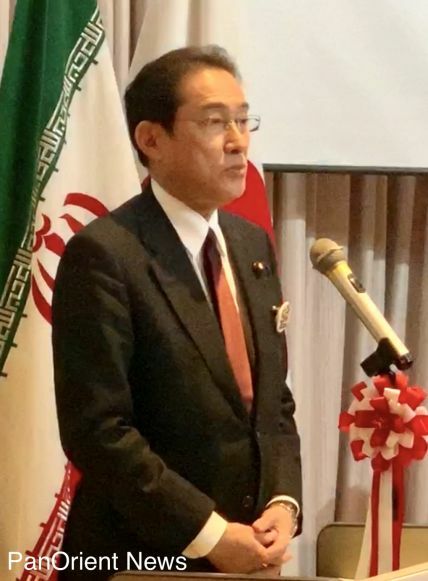 On the Japanese side, the chairman of the Japan-Iran Parliamentarians Friendship League, Fumio Kishida, said Japan wants to work with Iran to advance bilateral relations. Kishida, currently chairman of the ruling Liberal Democratic Party's Policy Research Council and former minister for foreign affairs, also said that the two nations have conducted economic and cultural exchanges based on their longstanding friendly ties since the establishment of diplomatic relations in 1929. “I would like to congratulate this 90th anniversary from my heart along with the participants here today. These traditional friendly relations were supported by people exchange,” said Kishida. He noted that last September there was a top meeting between Iran's President Hassan Rouhani and Prime Minster Shinzo Abe and that such meetings have been held for six consecutive years. Kishida added that he met with Foreign Minister Mohammad Javad Zarif several times and was part of the process to advance good relations.including the conclusion of an investment agreement and support for the implementation of the nuclear agreement. Hiroshi Oka, Director-General of the foreign ministry's Middle Eastern and African Affairs Bureau said that he shares joy on behalf of the people and the government of Japan that both countries have steadily promoted mutual understanding and deepened cooperative relations during the past 90 years. He also said that he hoped Japan and Iran would further develop their longstanding and amicable relations. Later in the event, certificates of appreciation for contributions to bilateral relations in various fields were given to recipients from universities and various organizations, including The Nippon Foundation. The event featured traditional Persian music and displays of handcrafts and pottery, along with some TV documentaries. 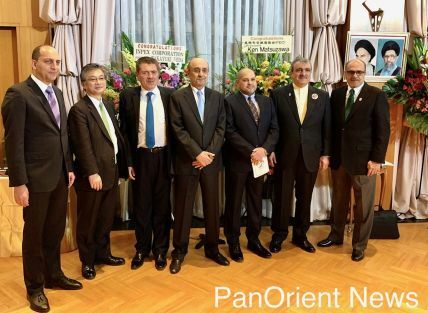 Attendees included ambassadors, military attaches and academics, as well as media and members of the Iranian community.